Swamp Rose-mallow (Hibiscus moscheutos). Malvaceae. Native. Wetland edges, swamps. 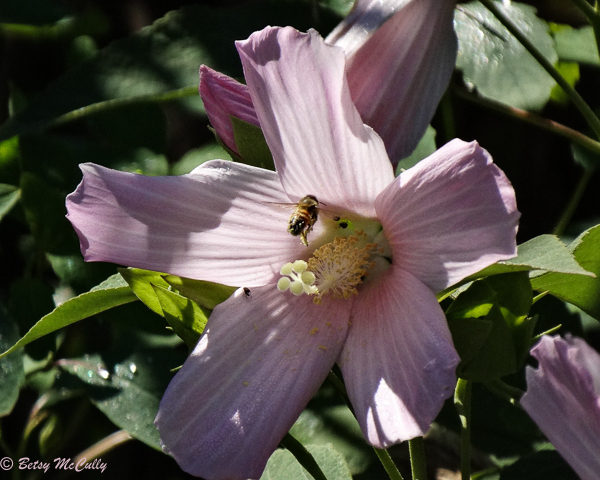 Pollinated by Rose Mallow bee (Ptilothrix bombiformis). Montauk, Long Island, 2016.